More than 1,200 of America’s last wild bison have been killed this winter, and it isn’t over yet. Hunting along Yellowstone’s boundaries has taken the lives of more than 400 bison. Hunters are still in the field making kills. It’s a terrible time of year to hunt. The bison — like other wild grazers — have used up all of their fat stores, and are showing ribs and bony hips, waiting for the re-greening of the Earth so they can again replenish their huge bodies. This is also the time of year when the long, harsh winter takes her toll, too. 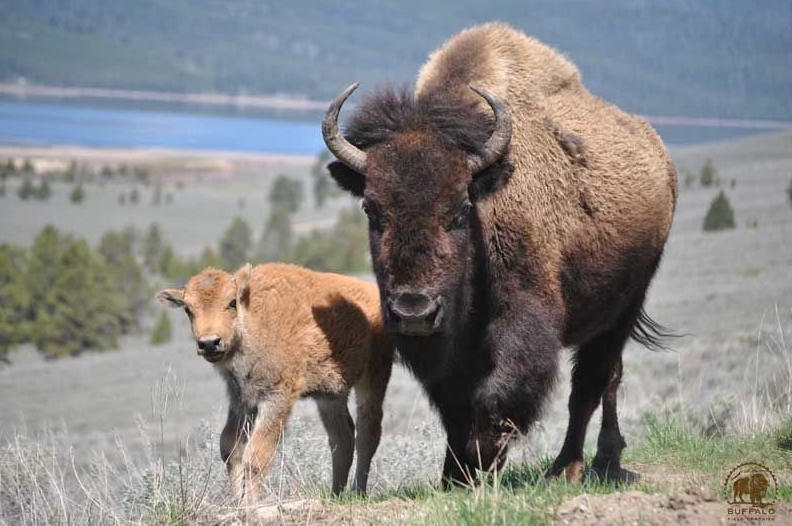 There will be many bison who will not survive into spring, but the government is not accounting for these deaths in their mad rush to reduce this most significant and vulnerable population. Further, hunters are still killing adult female buffalo who will begin having their calves in about six weeks. 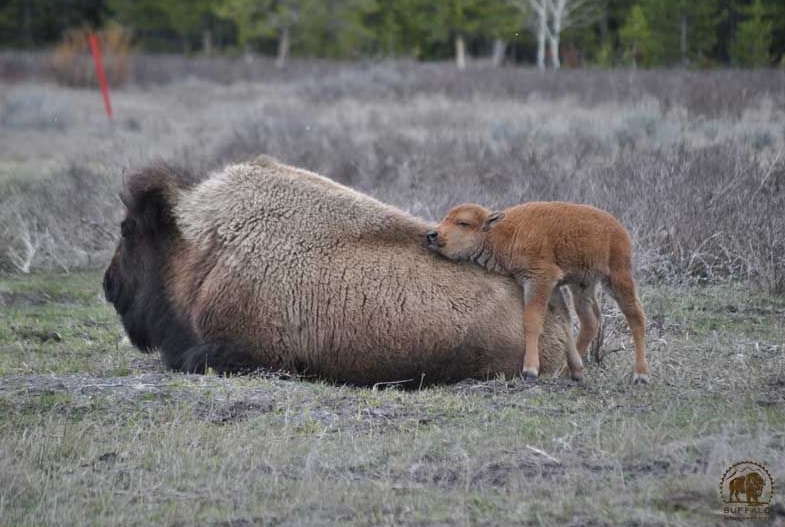 All too often, Buffalo Field Campaign (BFC) patrols make heartbreaking discoveries of finding fully-formed baby bison in their mother’s gut piles. 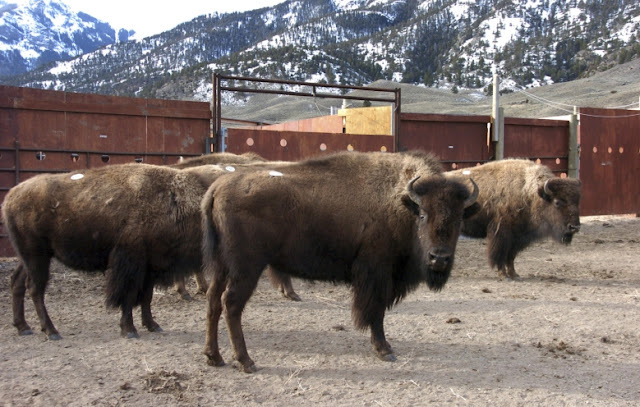 Additionally, Yellowstone National Park — shamefully complicit in Montana’s livestock industry’s war against wild bison — has captured close to 800 buffalo, all of whom have been or will be sent to slaughter. The trap is emptying quickly, though Yellowstone continues to attempt to capture. Recently, some bison have resisted these attempts, while others have not been so lucky. 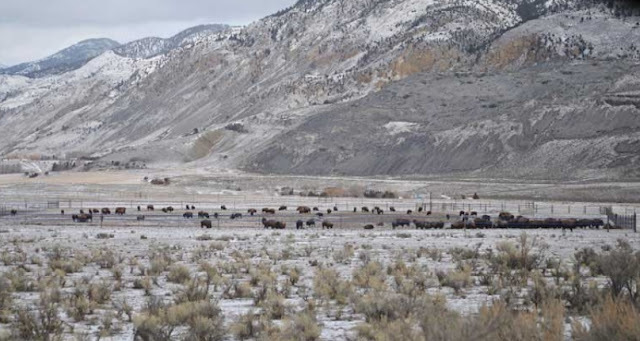 On Monday in Gardiner, BFC patrols documented as five Yellowstone wranglers on horseback tried to trap fifty-five buffalo; all but one got away, running to the hills for their lives. 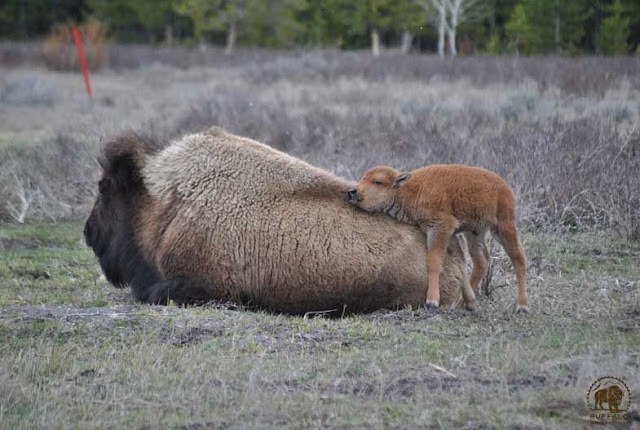 The unfortunate mama bison who was trapped caught the attention of another family group of twenty-two. Coming dangerously close to the trap, they sealed their own fate as the wranglers, hungry to capture, took advantage of the situation. Hundreds of wild bison are gone forever. BFC’s Mike Mease and Stephany Seay attended the second media tour of Yellowstone’s trap last Thursday, where we again witnessed Yellowstone park rangers, wranglers, and biologists doing the service of the Montana Department of Livestock as they loaded wild bison onto stock trailers headed for the slaughterhouse, then proceeded to move more through the trap. It has become business as usual for these bison abusers, just another day in the park. Yellowstone National Park is not without significant power, but they have shown they are without courage. They can stand up to Montana and refuse to participate. But they don’t. The world’s most well-known national park has astounding influence that they choose not to use. Instead, they kill America’s last wild buffalo. By the end of March, this should all be over. Please continue to keep pressure on Montana and Yellowstone. Do not ease up. Be relentless and don’t accept their excuses. Laws, decisions, and management plans can be changed. And contact your members of Congress to tell them that this must end once and for all. Congress holds the purse strings and can end the funding. Responses to "1,200 of America’s last wild bison have been killed and isn't over yet"
Only man is capable of this!! !